It's All About The Movies! Black Panther is now the most critically acclaimed MCU film thus far. The movie has so far made over $700 million world wide and has been out for only three weeks. Coming off his introduction in Captain America: Civil War, actor Chadwick Boseman gives his best performance as the newly crowned King of Wakanda. After his father’s assassination, T’Challa is forced to become the leader of Wakanda. The films timeline takes place only one week after the events of Civil War and poses a challenge for the new king. This is something you may not catch upon the first viewing. After all, it is the very first scene of the movie and there’s plenty to take in with an over 2 hour movie runtime. The films opening scene gives us some narrative backstory while placing us into the shoes of a young Erik Stevens. We soon hear Erik’s father N’Jobu (T’Chaka’s brother) talking to his son about the hidden nation of Wakanda and the history behind it. The opening scene certainly serves a purpose not just to help establish a young Erik but also to give audiences a small but crucial history lesson on the culture of Wakanda. The film opens in the year 1992 and we learn very quickly that it’s a nation that poses as a third world country and intends to remain hidden. 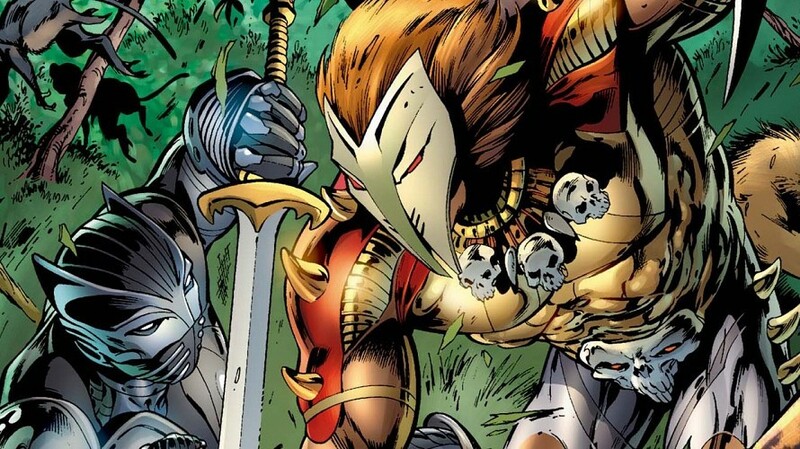 However, after T’Chaka finds out that his own brother is selling Wakandan technology to the Black Market, he makes a bold choice by killing his own brother. T’Chaka was scared that the technology would end up in the wrong hands and the nation itself should remain hidden forever. Thus begins Erik’s story arc and arguably the best developed MCU villain. As the movie progresses, we get to learn a little about Erik Killmonger’s childhood. 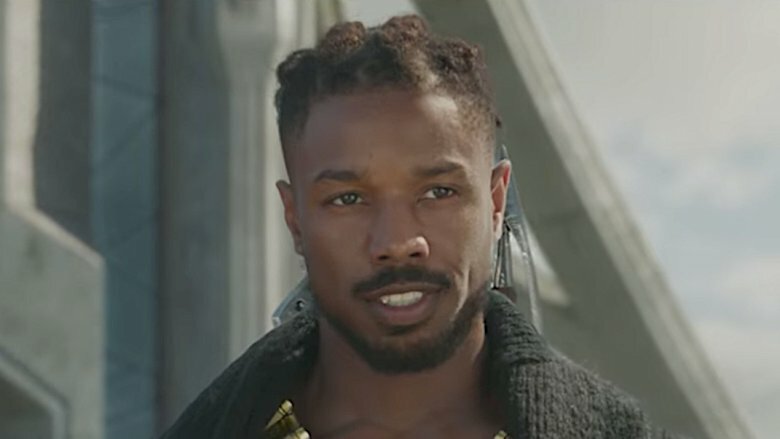 Given the nickname Killmonger, his father was murdered when he was very young. He served in the military as a Navy SEAL and he learned about everything there was to know about the nation of Wakanda through books his father used to read to him. The man has studied about Wakandan culture and knows exactly what he has to do to take over the throne. Erik is a broken individual and has trained for the very moment to take on the adversary who stands in his way as king. Killmonger is aware that he is family so he knows that he must be given a chance for the throne. He knew how much Ulysses Klaue posed such a threat to Wakanda, so he worked with Klaue long enough to eventually kill him and bring him to Wakanda. This was his gateway into the country and was all part of his plan. Erik has come a long way to get what he has sought after his entire life. What makes a great villain is when you fully understand his motivations and you can absolutely sympathize with him. Erik has struggled with his life but his reasoning behind getting the Wakandan technology is just the wrong way to handle things. One big story arc that we’ve seen plenty of times in Hollywood is where the villain halts his plans at the last second and has a change of heart. He/She will either sacrifice themselves to stop what they’re doing or team up with the protagonist to prevent total destruction. On the other hand, Killmonger never changes and it makes his character all the more relateable. Shortly after he pulls the knife out of his chest, Erik is no more and the villains story comes to an end. As much as we’d rather see Killmonger fight to live another day, his death allowed T’Challa to unite Wakanda with other nations and introduce their technology and way of life to the rest of the world. T’Challa had learned from his father’s mistakes and plans on making them right. So what do you all think? Is Erik Killmonger the MCU’s best villain or do you think it will be Thanos when Avengers: Infinity War hits theaters on April 27th. Sound off in the comment section below!